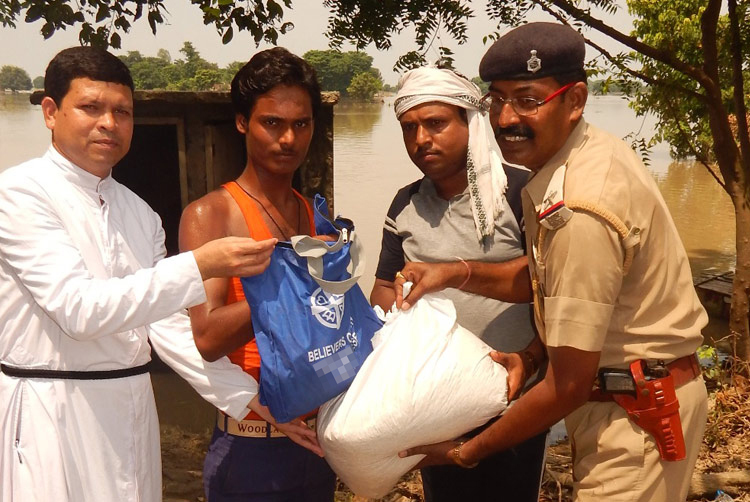 Through ongoing relief efforts, GFA World-supported workers have provided relief supplies to 4,600 flood-affected families in the state of Bihar, India. Many of the victims had lost family members, houses, crops and livestock. On August 27, GFA World-supported Compassion Services workers responded to the needs of displaced villagers by providing food kits to 600 families, as well as by giving them items such as bathing soap, candles, tea and tarps. Many flood-affected people are receiving relief supplies. 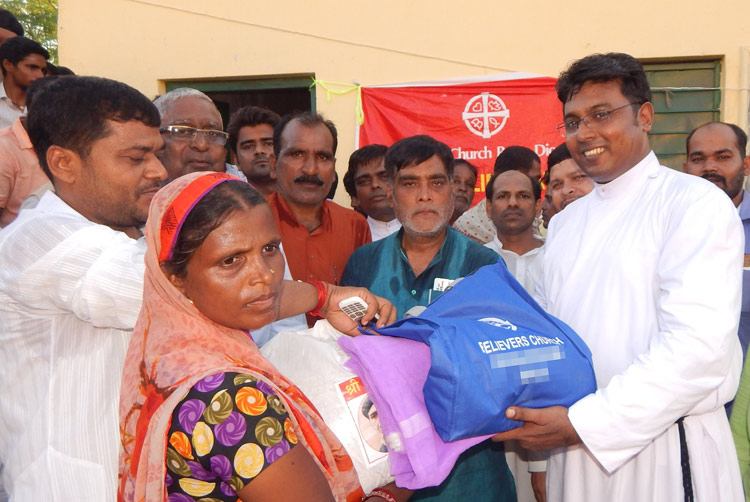 At the request of a local official, Compassion Services teams also distributed 800 mosquito nets among flood victims. "I am really thankful to [the church] for helping the flood-affected people of my areas," one local official shared. "I wasn't able to help many people. Thank you so much." 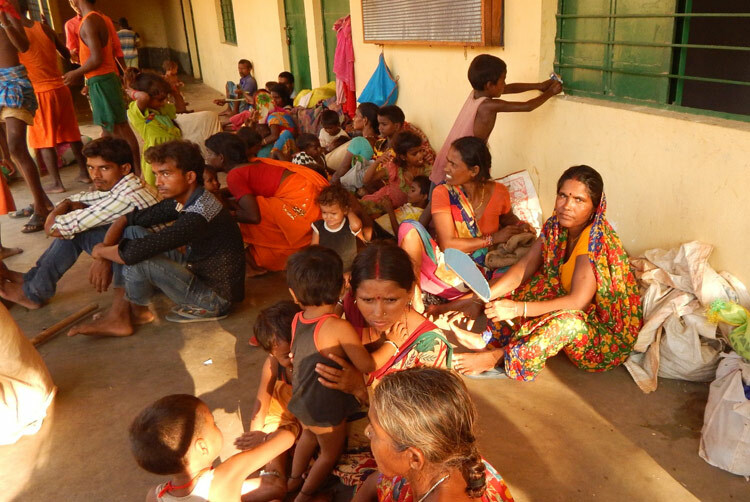 In other areas of Bihar, 2,400 families received food and other needed supplies through Compassion Services teams. GFA World-supported pastors were also able to provide for 1,000 families from their local congregations. "[This] is one of the best organizations in our society to help the poor, needy and flood-affected people," another local leader shared, speaking of the GFA World-supported workers. "I would like to thank [you] for helping the needy on time." 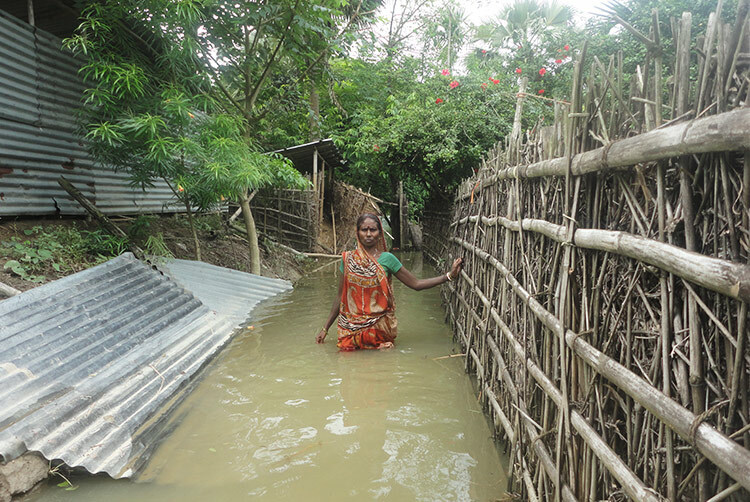 Earlier, on July 26, increased flooding forced thousands of people to flee their homes. Since then, many families have lived in tents alongside roads and have struggled to feed their children. 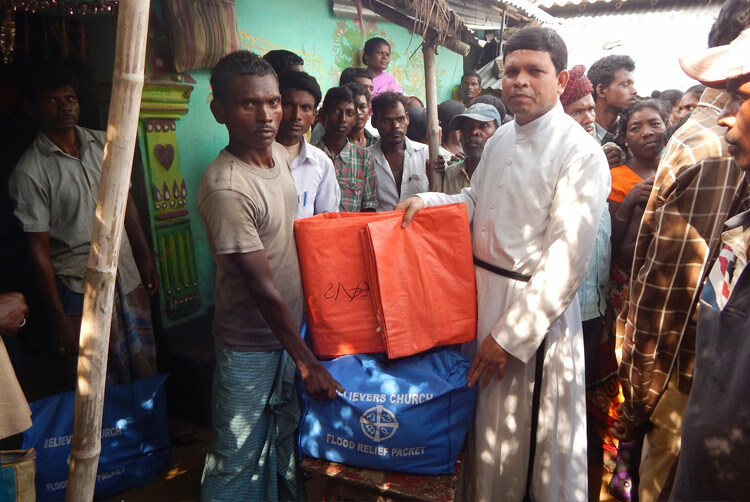 GFA World-supported workers quickly provided 800 of these families with tarps and dry food items, such as lentils, bread, rice, cookies, seasonings, salt, sugar and powdered milk to help them in their need. Compassion Services teams will be able to provide more families with food and shelter. Flood victims will be able to rebuild their homes and livelihoods. Several rivers in Asia are flowing at nearly record-breaking levels and are threatening communities all along their paths after weeks of heavy monsoon rainfall. 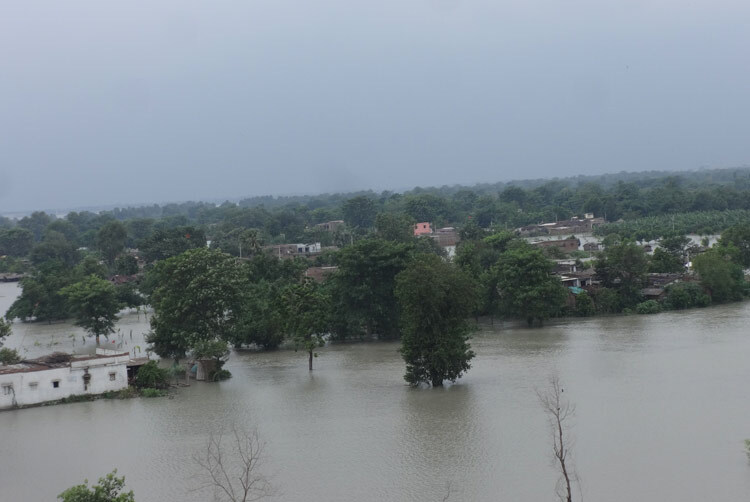 Within the Indian state of Bihar, five major rivers have risen to alarming levels, and many districts are suffering from severe flooding. Government workers have mobilized to provide relief and rescue flood victims, and arrangements have been put in place to drop food packets to affected areas when needed. As rain and floodwaters from inundated communities located upstream drain into these major rivers, the rivers' water levels rise and impact communities farther downstream, causing even more widespread flooding. Floodwaters and landslides are devastating thousands of families. 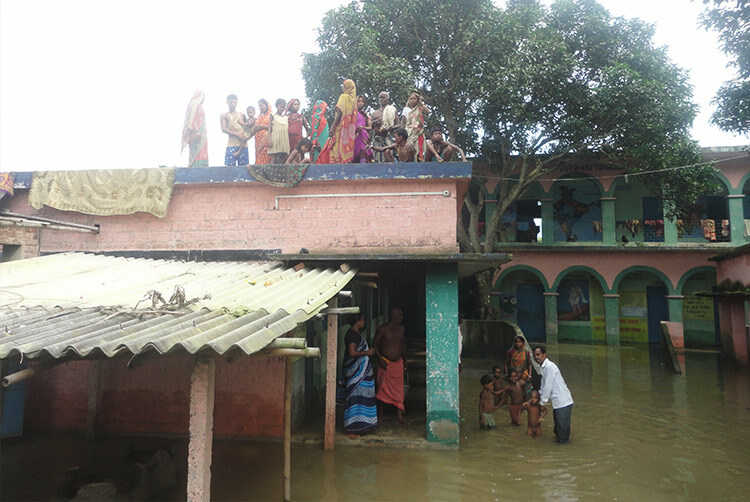 The house belonging to a GFA World-supported pastor in the state of Bihar was demolished during the flood in his area, and many other families have experienced similar loss of home and livestock. GFA World-supported workers plan to conduct relief work in these impacted areas as soon as possible. One district of Uttar Pradesh, India, received rain continuously for 15 days, which caused two men to drown in floodwaters. According to a government relief official, 987 villages in the state have been affected by flooding, and nearly 900,000 people have been affected. 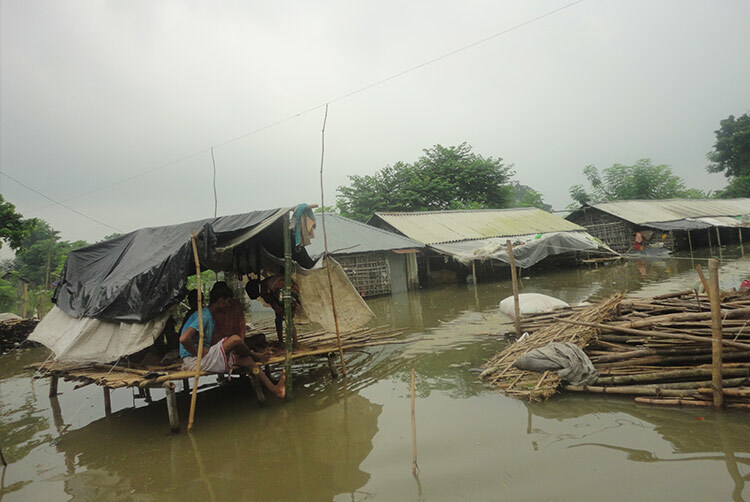 Tens of thousands have fled to relief camps or have been relocated to safer areas. 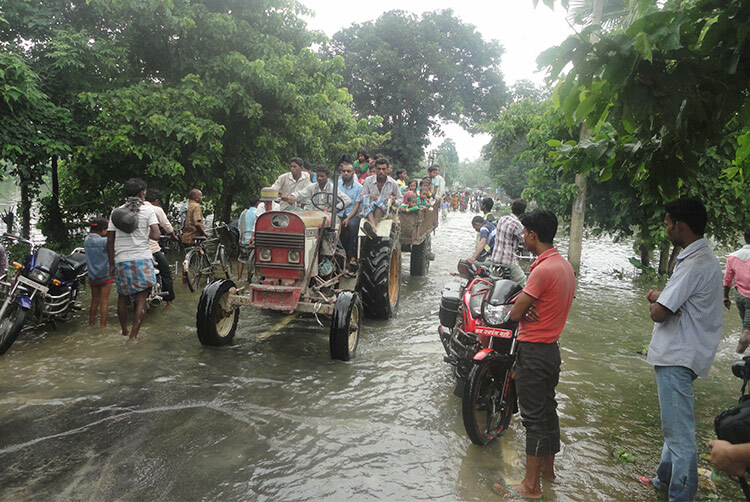 On August 15, flash floods in Madhya Pradesh, India, forced 500 people to flee for safety. Some families have returned to what is left of their saturated homes, but water still fills some houses and is leaking through the walls. 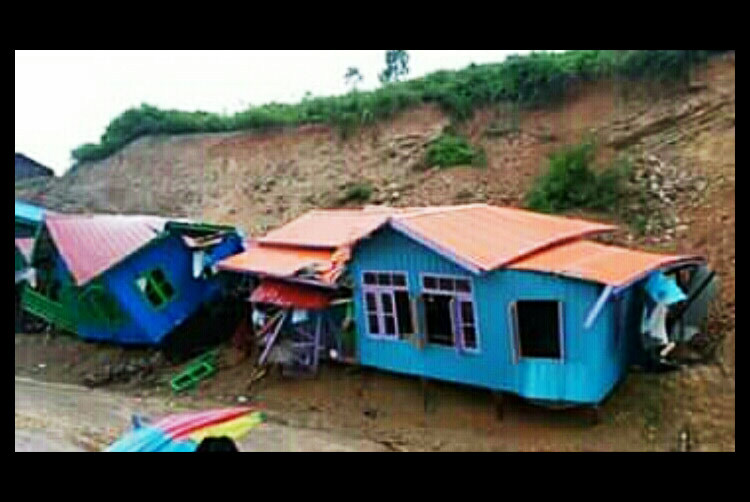 On August 21, heavy rains in Myanmar triggered a landslide in one village. 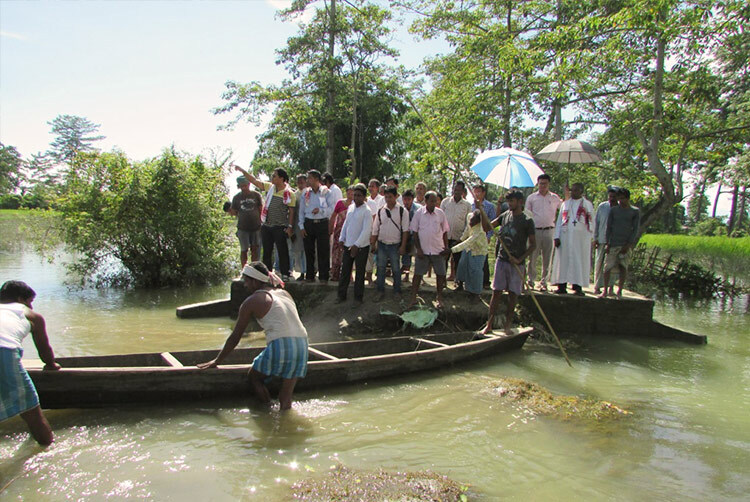 Two families from a congregation led by GFA World-supported pastor Khin lost their homes. One of the families now grieves the loss of their 6-year-old daughter, who died in the disaster. Villagers now fear additional landslides may occur. God will work through Pastor Khin to comfort this grieving family. Flooding will subside and there will be no more landslides. Families will be rescued from danger and receive relief supplies. GFA World-supported workers will have the opportunity and means to help many flood victims. 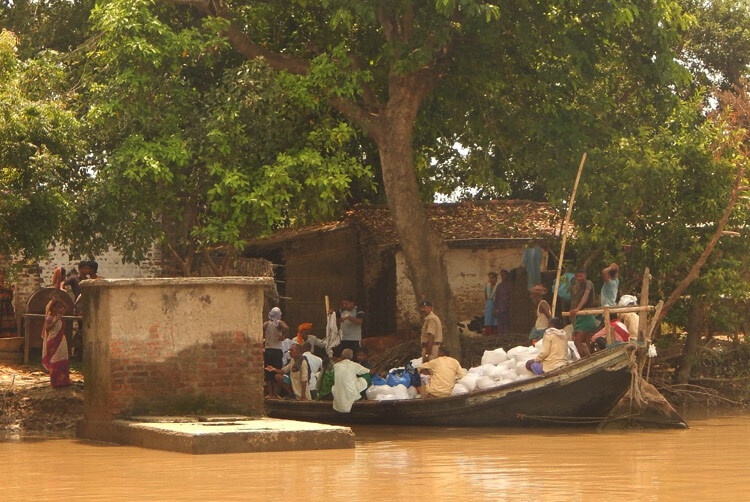 Monsoon rains continue devastating many areas of India, displacing and stranding families as rising floodwaters surround homes and villages. 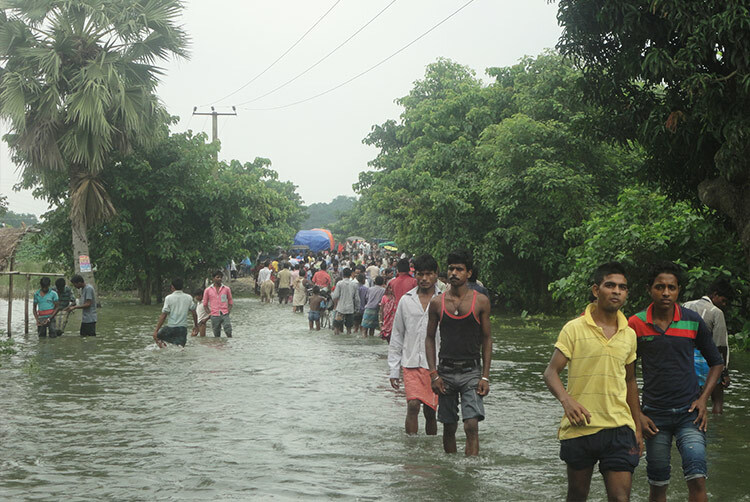 GFA World-supported workers have reported flooding situations across India, as well as in Nepal. 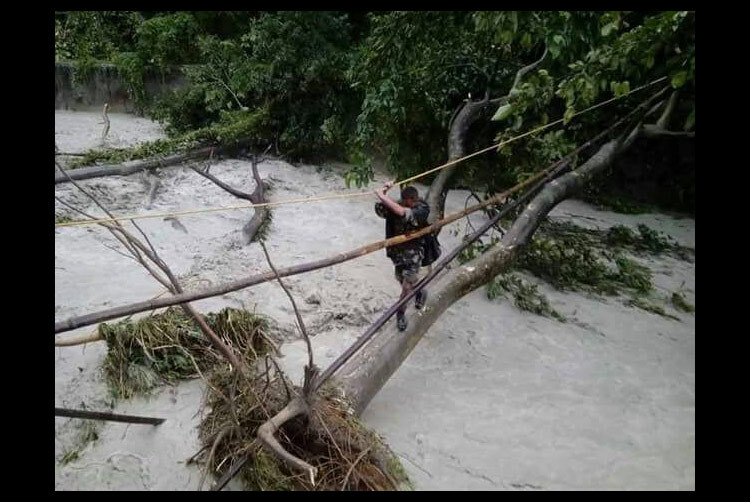 Government teams have used helicopters to rescue some stranded villagers, while other flood victims managed to reach relief shelters by other means. Damaged roads and bridges have cut off access to many flood-affected communities and have limited communication with flood victims. 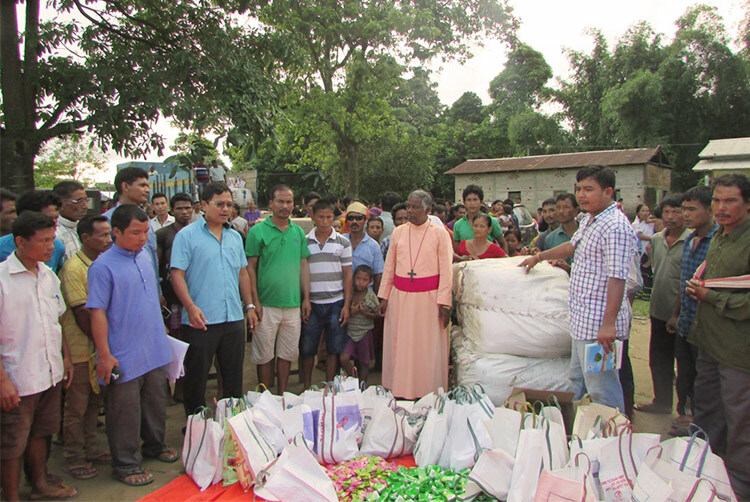 Relief teams distribute items to families in Assam. Rajasthan, a state along the northwestern border of India, experienced four days of continual rain, which flooded the homes of some children enrolled in a GFA World-supported Bridge of Hope centre. Water also submerged a church building used by a GFA World-supported pastor, who had to be rescued after floodwaters surrounded the building. Also in Rajasthan, a school bus carrying 40 children plunged into a flooded river. All of the children were rescued. 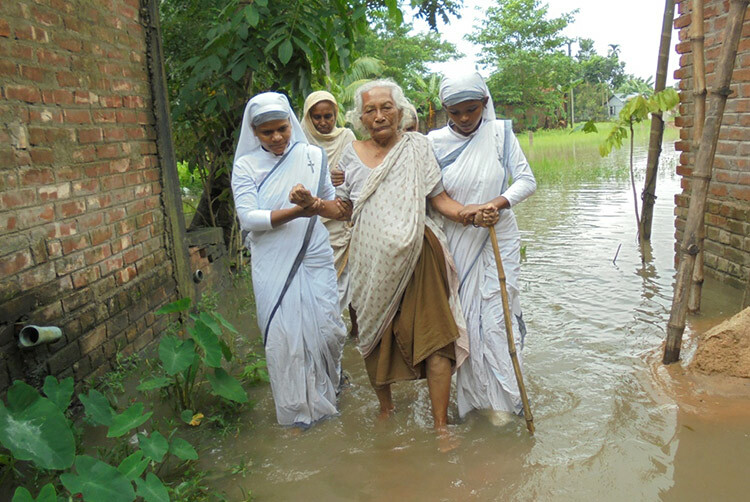 In one of the most severely affected regions of West Bengal, India, 150 homes filled with water, most of which belong to poor widows. Of those 150 families, 58 of them are families from a congregation led by GFA World-supported pastor Abhik. Abhik and a team of Sisters of Compassion are ministering to the affected families in the community and are helping them move their belongings to safe places. In Nepal, a week of continual rain caused a hillside to give way, covering a stone building that was used by a local fellowship as a place of worship. The believers and the local GFA World-supported worker leading the fellowship are now unable to hold worship services in the building. Flooded areas will experience a change in weather and floodwaters will recede. 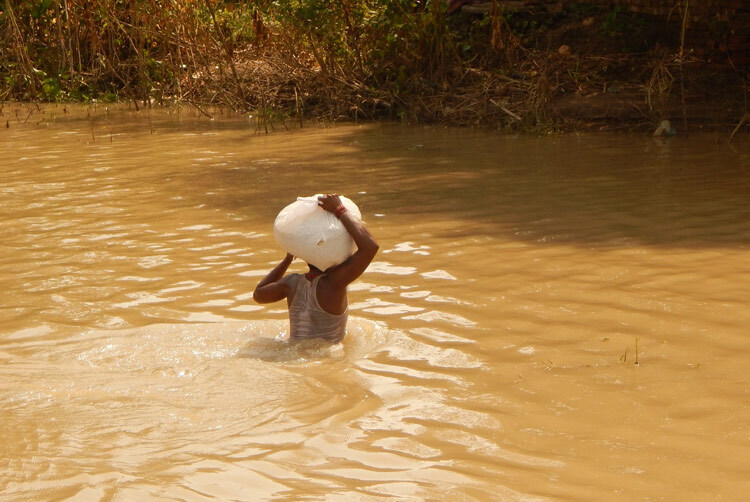 Families living in flood-affected areas will be protected from waterborne diseases. Rescue workers and relief teams will be able to help many families. 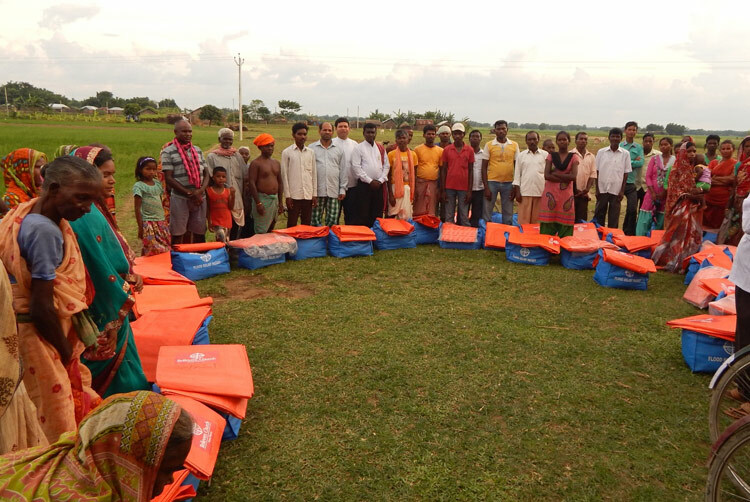 Thousands of families in two states of India received relief items and comfort through GFA World-supported Compassion Services teams after severe monsoon flooding inundated their villages and houses. 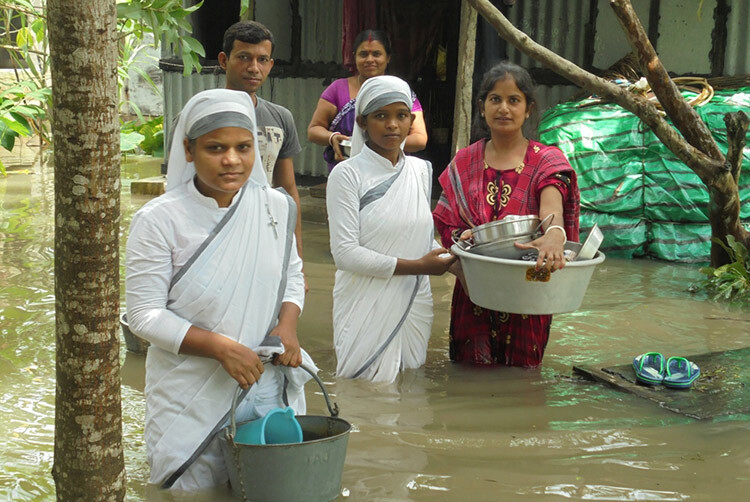 On July 27, GFA World-supported Compassion Services teams in the state of Assam distributed relief supplies to 1,000 families receiving shelter in relief camps after monsoon flooding forced them to flee their homes. The relief teams provided items such as rice, sugar, soap, toothbrushes and toothpaste, as well as 1,000 mosquito nets. 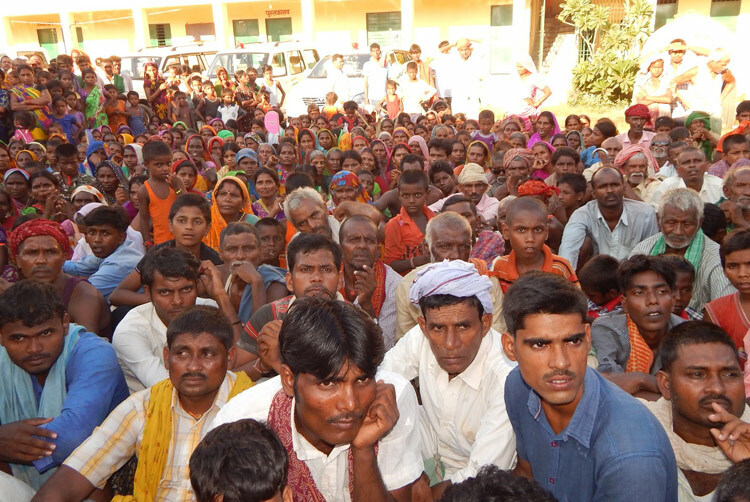 In a hard-hit region of the state of Bihar, Compassion Services workers selected 800 families to receive tarps and food items, such as lentils, sugar, bread, rice, powdered milk and salt. 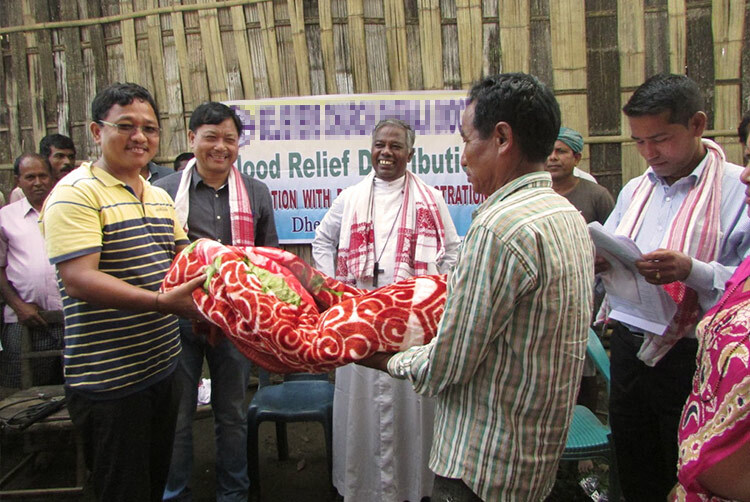 In another area of Assam, GFA World-supported relief teams worked with local authorities to provide blankets and food to 600 flood-affected families living on an island. The items provide physical relief and comfort to the villagers who have suffered great loss. The homes of 300 of these families suffered severe damage, forcing the victims into relief camps. In addition to destroying household belongings, floodwaters also washed away villagers' goats, pigs, cows and chickens, sources of livelihood for many. Living on this island surrounded by two major rivers, 700 families struggle through natural disasters every year. Yet the flooding they are experiencing this year surpasses the devastation of previous years. 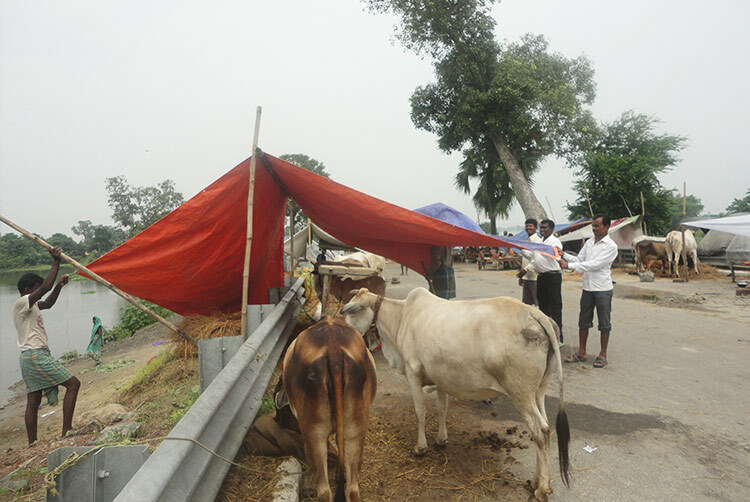 The heavy monsoon rains caused the rivers to rise, submerging villages, killing livestock and destroying crops. "You are the first who helps the affected families of this area," a village leader shared. "We will never forget your good work in our lives. I, on behalf of [the people of this island], would like to thank each of you and all the leaders for your extended helping hand. Thank you so much." 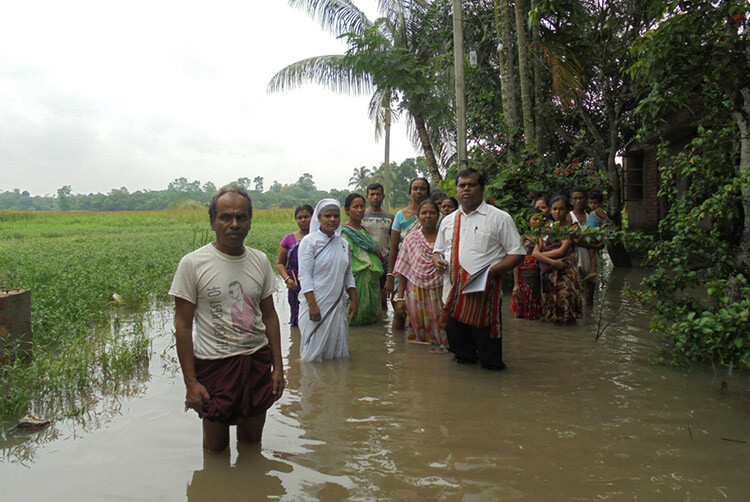 More flood-affected villages will receive aid through GFA World-supported Compassion Services teams. Flooding will diminish and families will be able to return to their homes. God will provide for villagers who have lost their homes and sources of livelihood. Compassion Services workers will have wisdom as they comfort flood victims. 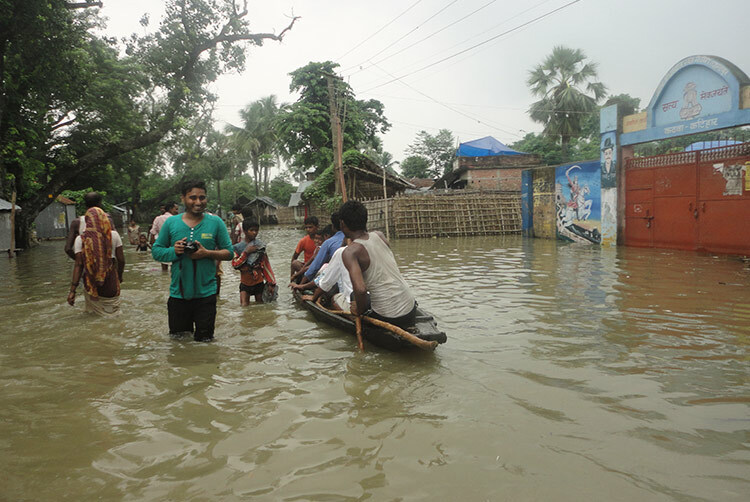 Severe flooding and landslides caused by annual monsoon rains are threatening many lives in areas of Bangladesh, Bhutan, India, Myanmar and Nepal. Several major rivers are swollen or overflowing, submerging many communities and roadways. Waterlogged soil has crumbled away from hillsides and riverbanks, destroying homes and crops and claiming dozens of lives. Government rescue workers have mobilized to set up relief camps and provide aid for many flood-affected families. 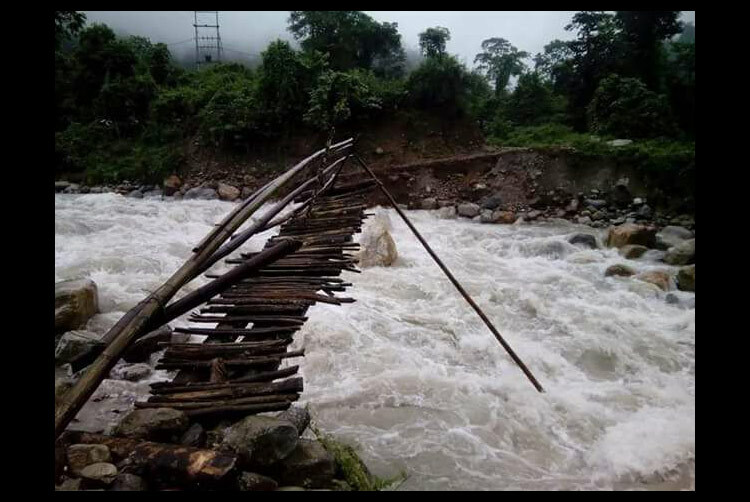 However, blocked roadways or washed-out bridges leave many flood victims with no source of food, water or medical aid. Communication is completely cut off in some areas. Thousands of families have lost their homes or livelihoods, and thousands more live at risk of flooding as nearby rivers rise to dangerous levels. 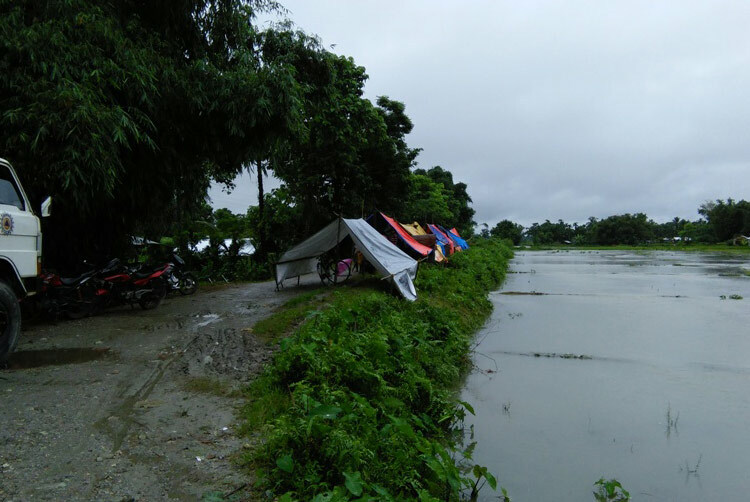 Nearly 100,000 people in Assam, India, are taking shelter in makeshift tents on higher ground after rain continually pounded their region. 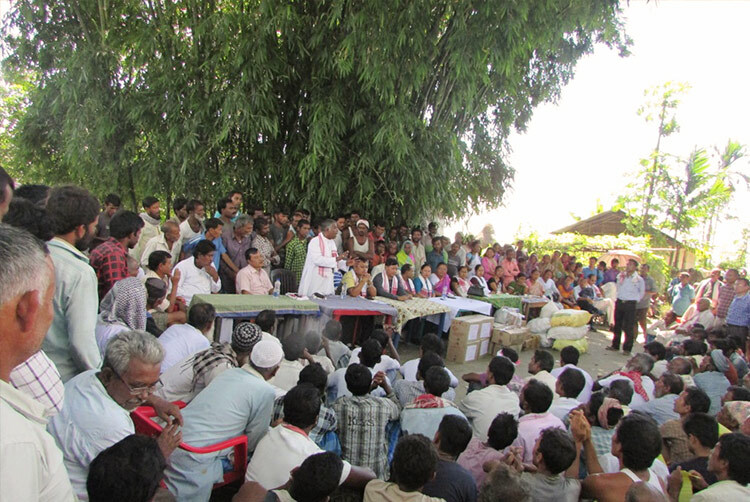 Government workers are providing relief items for flood victims in 70 relief camps. Three other states in India are experiencing flooding as well. Nepal reported at least 28 missing people and 39 casualties, three of whom were survivors of the Nepal earthquakes in spring of 2015. 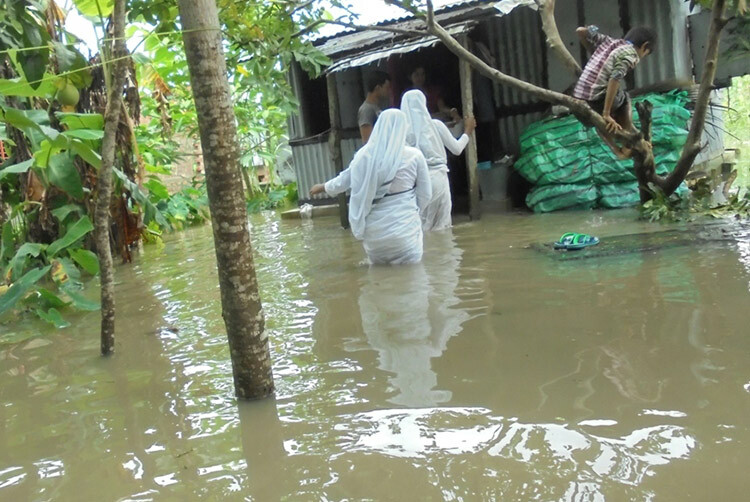 In Myanmar, continually rising floodwaters forced many families to flee to higher ground and relief camps. 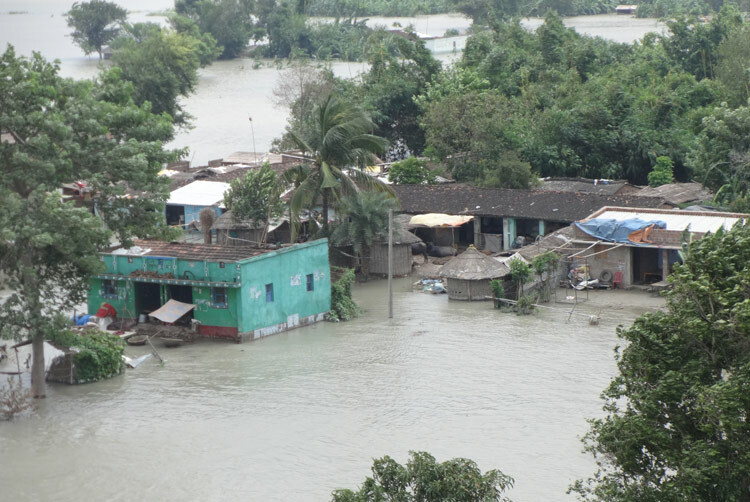 In one area of Bangladesh, more than 50,000 people have been affected by flooding. Victims lost their homes, household belongings, domestic animals and crops. In desperation, some people are trying to survive by living in boats. Government workers are unable to reach many affected areas, and flooding is only increasing as rains continue. 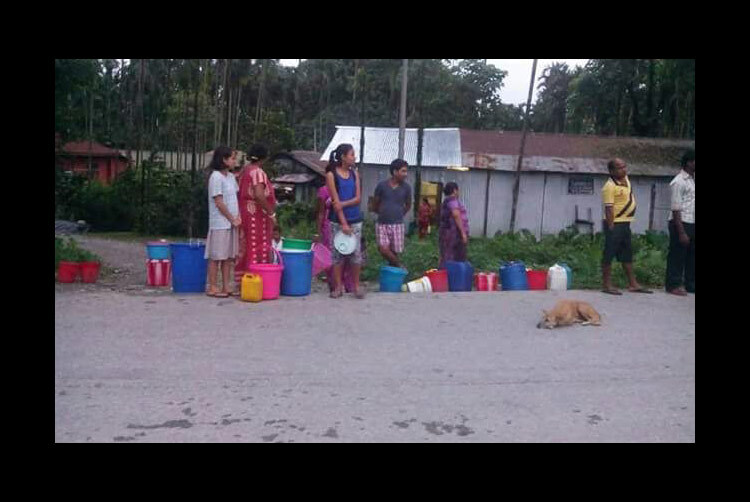 Heavy rains in a district of Bhutan damaged water tanks and water treatment plants, resulting in a lack of drinking water in the area. Diseases such as dengue fever, typhoid and malaria are already spreading as a result of flooding, but medication is unavailable because of damage to major bridges and highways. In another mountainous region, a landslide left villagers unable to travel to purchase food. 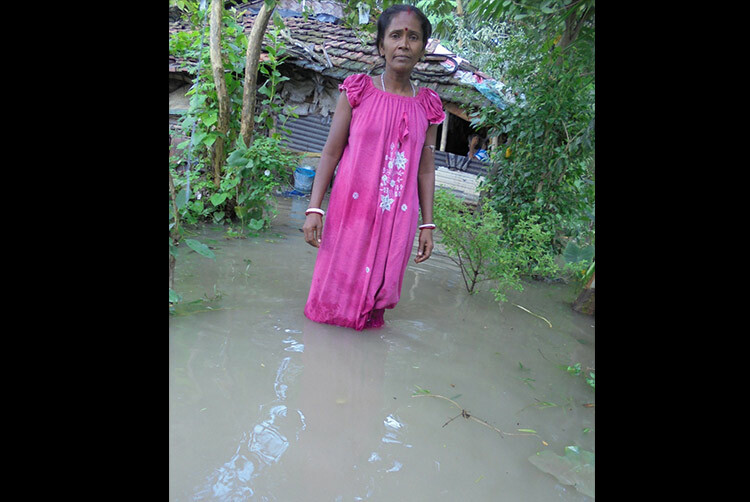 GFA World-supported workers in these areas are hindered in their ministries because of the great difficulties monsoon flooding has brought. Many believers who attend churches led by GFA World-supported pastors live in areas affected by these disasters. 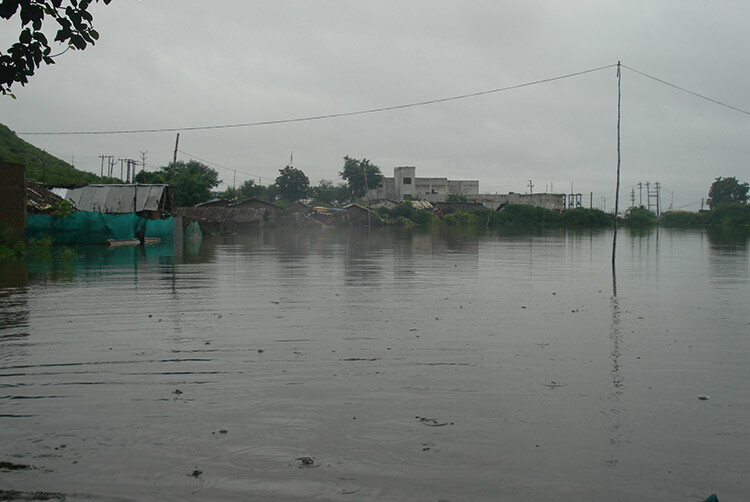 Many believers' homes or belongings were destroyed, and several worship centres are surrounded by floodwater. God will protect, comfort and provide for the people impacted by flooding. Landslides and floods will stop occurring. Governments will have the means and ability to bring relief to every needy community and to rescue stranded villagers. Disease will not spread, and those suffering from illnesses will be healed.